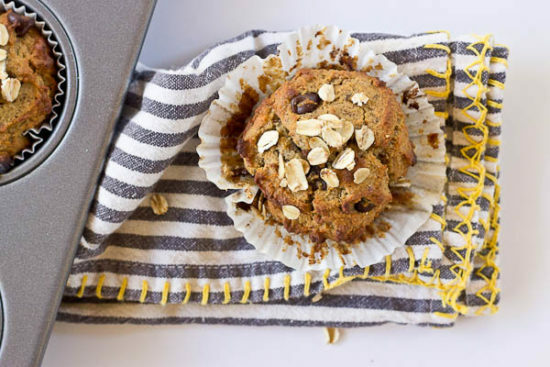 These Almond Butter Banana Oat Muffins are moist, satisfying, and have a delicious almond butter banana flavor. There is just enough chocolate in every bite to satisfy a sweet tooth. Flourless and gluten free. Muffins have been on the top of my list lately. 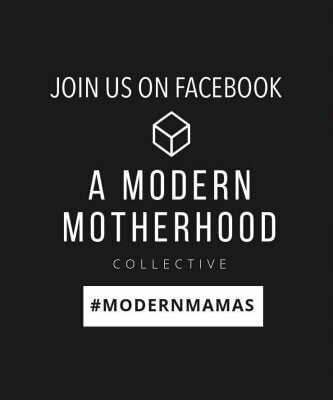 With a wild and crazy 4 month old, running a business from home all while trying to get dinner on the table… life is moving at warp speed. Do you guys feel that way too? Why can’t time just slow down? 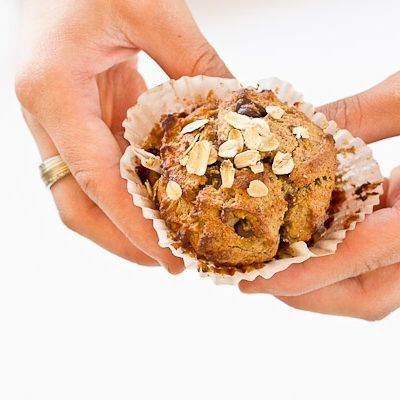 Enter these Almond Butter Banana Oat Muffins. They save the day because I can make a batch and freeze half of them to munch on later when I need a breakfast STAT but don’t have time to make anything or a snack attack hits but I’ve got to run out the door for a meeting. 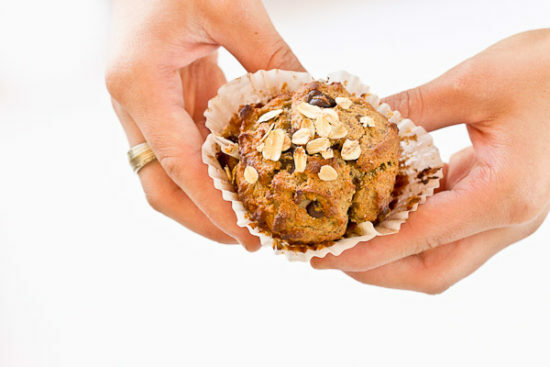 When I bake a batch of muffins I like to pack them with wholesome foods that are nutrient dense and have lots of fiber. 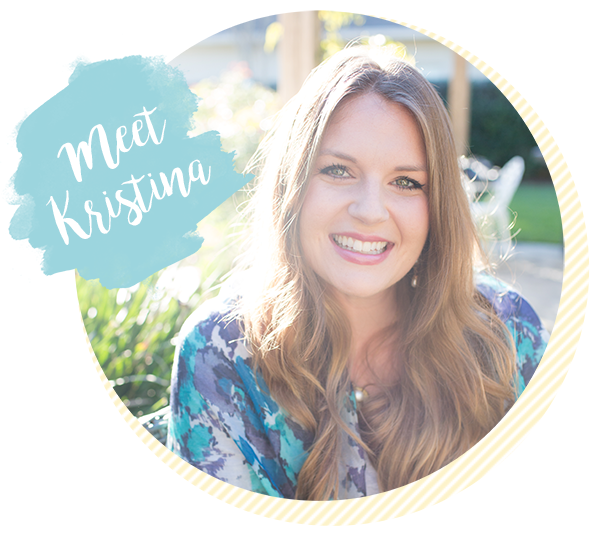 It makes me feel good eating these dessert-like but healthy muffins anytime of day, plus my gluten free husband can enjoy them too! Hope you enjoy these Almond Butter Banana Oat Muffins as much as we do 🙂 If you like this recipe leave a note in the comments! 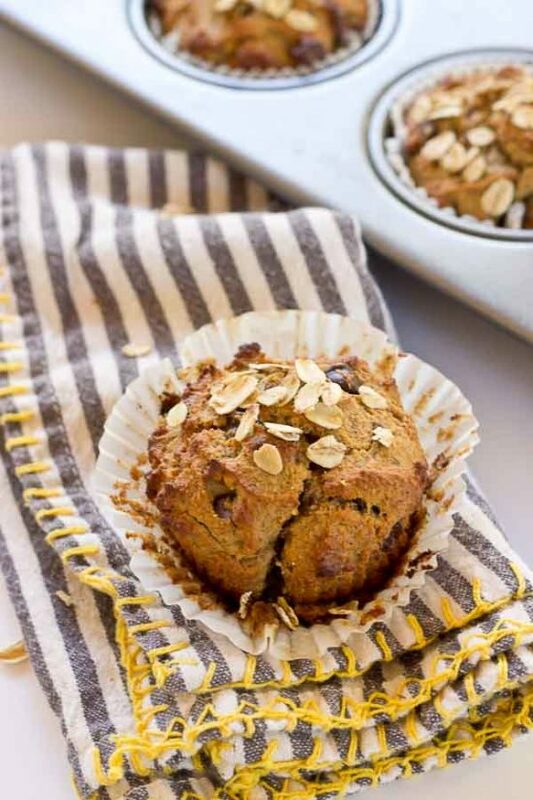 These Almond Butter Banana Oat Muffins are moist, satisfying, and have an delicious almond butter banana flavor. There is just enough chocolate in every bite to satisfy a sweet tooth. Flourless and gluten free. Preheat oven to 375 degrees F, and line 12 count muffin tin with paper muffin liners. In large bowl, whisk together eggs, bananas, coconut oil, honey, almond butter, almond milk, and vanilla. In separate bowl, whisk together flour, flaxseed, baking soda, salt and baking powder. Pour dry ingredients into wet ingredients and stir until combined. 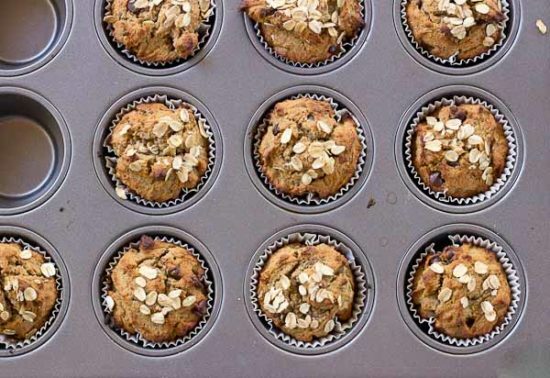 Pour batter evenly into 12 muffin cups. Bake 18-20 minutes, until toothpick inserted into muffin is clean. Wow. I was so pleased with how these muffins turned out. I was worried they would be dense but they were perfect. I used the oat flour but I am not gf so I used white whole wheat instead of coconut flour. I even forgot to add the honey and the chocolate chips made it sweet enough. These look great! 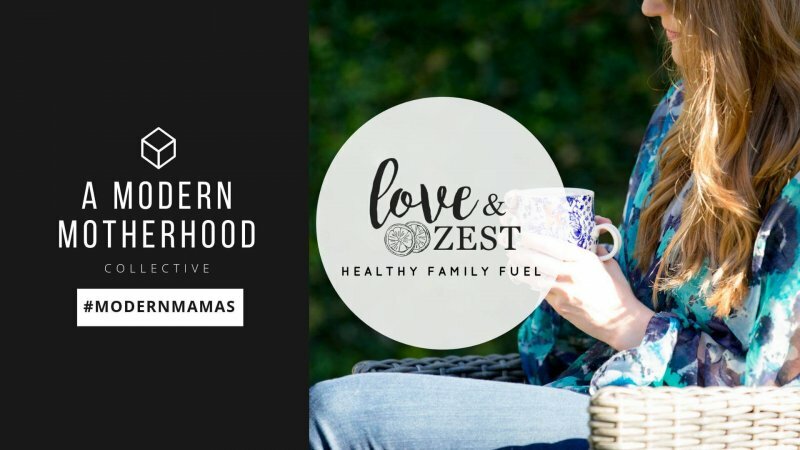 I’m avoiding honey because of fodmap restrictions. I don’t mind missing the sweetness but I’m worried about texture… I’m not a baker but I know every ingredient effects the final outcome. Any idea how the texture of these muffins would go without the honey? 100% Maple should work– I believe it’s a low fodmap sugar… in small doses. Soooooo good! I love these. ooo.. coconut flour is a hard substitute. you could probably do all gluten free flour or almond meal instead of coconut since it doesn’t call for that much in this recipe. Hello!! I was wondering if instead of using oat flour, could the same amount of almond flour be used instead? 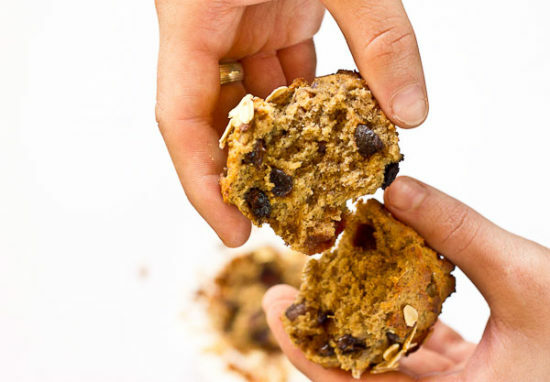 My husband is eating Paleo right now and we absolutely LOVE these muffins. Thank you so much!! Love this recipe but would like advice on how to adjust time if making mini muffins? Thanks! How can a muffin be both light and fluffy and moist and “buttery” at the same time? Dare I say these are the best banana muffins I’ve ever baked/eaten? Though I have to be gluten/dairy free, I don’t have to miss out on flavor. Thanks for this recipe. It makes my heart happy. Oh Maria, you are so welcome. This makes my day. I’m so glad that you enjoyed them! YAY! These were amazing! Thanks for the great recipe! These look delicious! 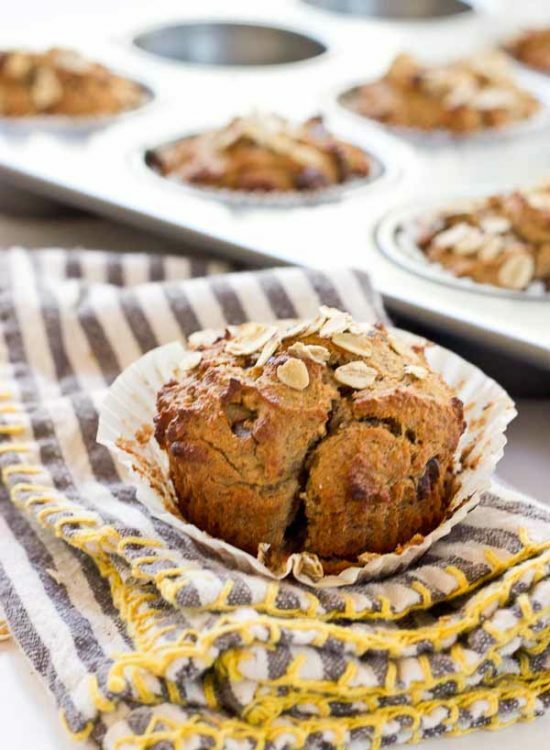 I am always on the look out for healthy and tasty muffin recipes so I will definitely be trying these muffins next!! Loving everything about this recipe. I’m always in the look out for gluten free recipes. This one has flavors I love and can’t wait to give it a try. Thank you for sharing.